Each #SkinBabe will help us share confidence, gain confidence & inspire confidence! We're kicking-off #SkinBabe with a skincare FANATIC & lady you may recognize if you watch Good Morning America, Miss Eva Pilgrim! Ironically, I've never met Eva. We both worked at FOX59 in Indianapolis as TV Anchor/Reporters, BUT we didn't work at the station at the same time. We also both have the same media agent, Mr. Matthew Kingsley. Our friendship has truly grown exclusively through social media! Eva loves the news, people and skincare - so naturally, we've grown to respect each other QUICKLY. If you follow Eva on Instagram, you will quickly see that Eva is SKINCARE OBSESSED, as she proudly displays on her bio. 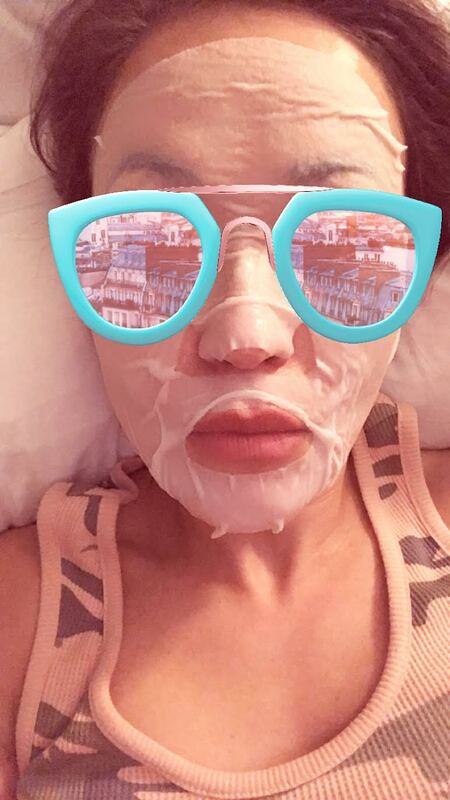 Eva masks ALL THE TIME - not only because she has to look fresh & fly for the news but because she, like me (and YOU, #SkinBabe) believes that skincare is directly tied to self-love & self-confidence. #SkinBabe Eva Pilgrim masks at least 3x a week! #SkinBabe, be sure to read all of Eva's skincare knowledge as she shares detailed skincare tips & tricks, favorite products & CONFIDENCE! I think being a #Skinbabe is about accepting yourself and finding a way to be comfortable in your own skin. Even those of us who weren’t blessed with perfect skin can find a way to feel confident with our skin. I certainly wasn’t given great skin. I did two rounds of Accutane and still was breaking out before my derm put me on spironolactone. I wish I had perfect skin but I’ve had to accept what I was given and find the things that work for my skin type. Skincare is definitely not one size fits all. It's not about spending tons of money. It’s about giving yourself an extra 5 minutes to love yourself before you have to face the world ... even if you have a huge zit on your chin! I grew up sitting next to my mom as she took care of her skin. It was a special mommy/daughter moment twice a day, every day where I’d talk to my mom and admire her. I became obsessed with it as I got older because quite honestly … I’m lazy. If you have good skin, you don’t have to fuss as much with makeup. Drink water ... stay hydrated. It’s amazing how different your skin looks when you are hydrated. As far as actual skin stuff, wash your face. If you’re too tired to wash it, use a wipe. Something! 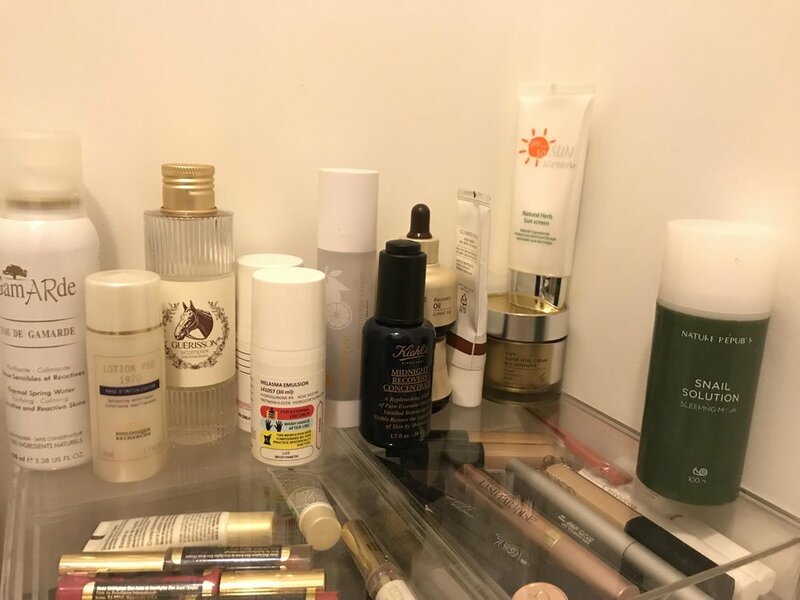 #SkinBabe Eva Pilgrim Shares Her Favorite Products! What's Your Current Daytime Face Routine, #SkinBabe? Let me start by saying, the list seems long but I fly thru these things as I’m doing other things in the morning. I think of skincare like a gardener thinks about their garden. You can’t just drown a plant with a ton of water/product and expect it to all absorb. I layer to prepare my skin to better take in the products. Also, I use a lot of Korean products. I have sensitive skin and I find the Korean products are gentler and less likely to cause breakouts or reactions on me. Wash AM/PM – Neutrogena Makeup Removing wash. It helps get the makeup off. I often wash twice to make sure my makeup is gone. I wear a lot of makeup for work. It’s gross. Toner AM/PM – I’m obsessed with Biologique Recherche P50 1970. If you haven’t heard of this stuff, google it. My aesthetician in Philadelphia (Rescue Spa) introduced it to me. It tingles. It smells weird. But it’s magic. It helped me deal with breakouts. It makes your skin super smooth because it exfoliates gently over time. Don't freak out the first time you use it… your face may turn a little pink, but it goes away after a few minutes. It’s a little pricey, but it lasts a really long time. Hydrating spray AM/PM – I’m using a sulpher-based one right now that I got a random store in LA. I was in the midst of a terrible breakout and the lovely man there was like try this … ha! It was like $15. I find it calms my skin on top of the spritz it gives. It doesn’t smell the best but I don’t really care about that. I’m going to cry when I run out because I can’t find it online. Will be heading back to West Hollywood. Balancer Am/PM – Basically this is a slippery water. I like Korean brands when it comes to this… Iope, Missha Time Revolution (you can buy this at CVS), currently using Guerrison Horse Oil. Vitamin C AM – I rotate between a vitamin C oil and a vitamin C serum. I really like Obagi’s Vitamin C Oil. My skin was too sensitive for the Skinceuticals that everyone rants and raves about. I also use a Innisfree Whitening Pore Serum that has vitamin C in it. Face Oil/Serum AM/PM – Face oils in the winter are life. Currently loving Keihl’s Midnight Recover oil, Biossance Squalene Rose oil, and Llang Redgin Magic Oil (it has ginseng in it). Face Mask PM – I love masking. I usually put the oil/serum on and then put a mask on top of that just to lock it all in. I use all the masks. I’m obsessed with them. My favorite brands is Leaders. It’s a Korean brand and pretty much all of them are great. Tretinoin / Melasma Cream PM – Get this from my dermatologist. She mixes it up for me in her office. I get dark spots from the sun really easily so… we’re working on it. Emulsion AM/PM – This is a light moisturizer. I use Nature Republic’s Snail Solution Emulsion. I love it. Face Cream AM/PM – Usually a heavier cream. I will skip this in the summer, but in the winter I feel like my skin needs it. Currently using the Guerisson Horse Oil cream during the day and the Iope Super Vital Cream at Night. Night Cream Mask PM Emergency – If I’m super dry, I will top everything with a night time cream mask. I will just sleep in it. Just a warning… Usually you wake up to dewy skin… sometimes you wake up to cream mask all over your pillows because you slept like a crazy person. Sunscreen AM – Every single day. LaRoche Posay Ultralight. Another suggestion from my derm. What's a Product You Can't Live Without, #SkinBabe? Face Oils! Tons of people have been asking me what I’m doing to keep from having dry skin when I’m outside in the cold so much. Give me all the face oils. 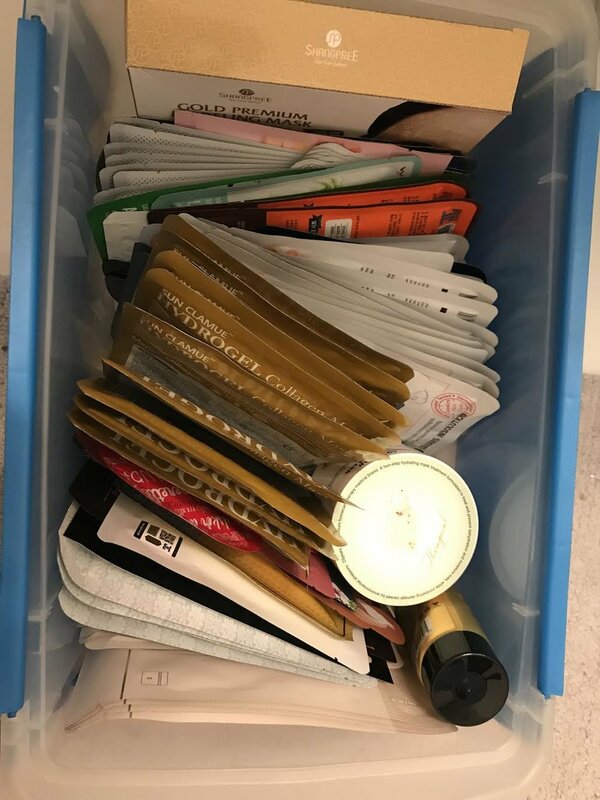 I feel like they pack a lot of punch and often aren’t anywhere as crazy expensive as some of the creams out there. There are good ones for the summer and for the winter. While it’s scary to put oil on your face the first time, a lot of it is finding the right one for you. Most won’t cause you to break out. For me, they have actually worked a lot better at hydrating my combination skin than a thick cream, which can sometimes break me out. Chrissy Teigen! I love how she is always posting pictures on planes with her masks on. Haha! Eva shares a photo of her makeup planner by Trish McEvoy. "It’s so amazing & organized! And, clearly I use a mix of products. I just use what looks good on my skin. I never follow brands too closely because I find every brand has something that’s great, but that doesn’t mean it’s amazing at everything!"